SPR Global Healthcare is leading exporter of quality products which are FDA approved hormones medicines, example human menopausal Gonadotropin, purified Urofollitrophin to treat a variety of medical conditions and control certain hormone-related bodily functions. 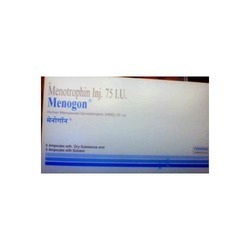 Our SPR Global Healthcare has expertise in providing superior grade of Menotrophin Injection brand MENOGON used to treat anovulation in women by stimulating follicular development, as well as hypo- or normagonadotropic hypogonadism in men and, in combination with , it can stimulate spermatogenesis. 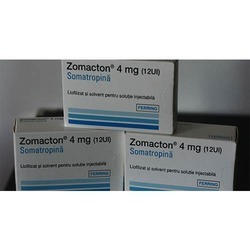 Zomacton 12iu injection has same structure as natural which is required for the growth of bones and muscles . It also helps the fat and muscle tissues to develop in the right proportion .